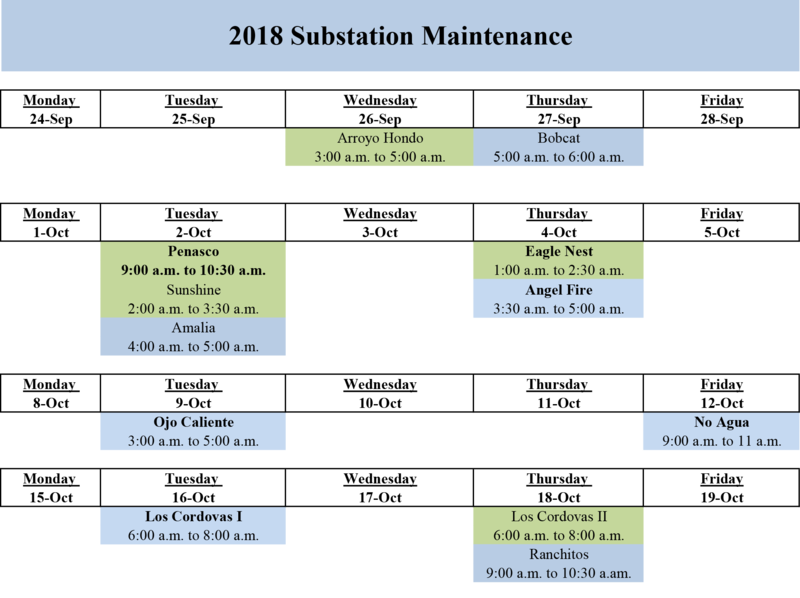 Kit Carson Electric Cooperative will be performing Substation Maintenance in the months of September and October. Thank you for your patience. For any questions, please feel free to reach us at (575)- 758- 2258.